They LOVE the message. (It's suitable for ALL AGES!). It is suitable for ALL PATIENTS (multi-disciplinary). 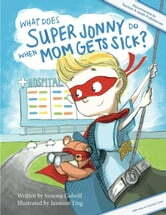 They LOVE the fact that teachers can use Super Jonny to support a patient's family. It has great reviews from 3 sectors. Although the story is about Mum, it applies to ANY family member (Mum, Dad, sibling, grandparent, aunt, uncle). THEMES include problem solving, critical thinking, persistence and empathy. The question page LINK to education curriculum info for the UK, Australia and NZ. Super Jonny can be used in the classroom. Marineke G, (curriculum advisor, Auckland College of Education). 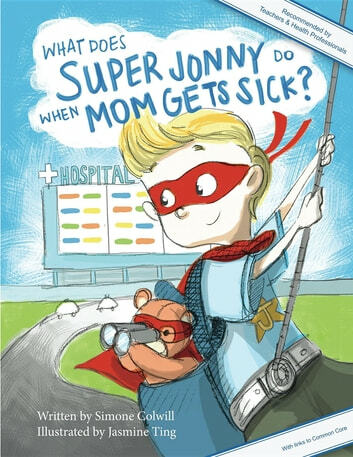 "Lively and appealing illustrations convey a humorous and positive tone, without diminishing the author's purpose to assist a child with a sick relative. ...I look forward to sharing this picture book with teachers and children."